Join @CoronaTools and #plantchat co-partner, Stacey Hirvela, of Proven Winners @Proven_Winners for this week's topic, Garden Tips. The live chat begins Monday, August 4, 2014 at 11 a.m. PT / 2 p.m. 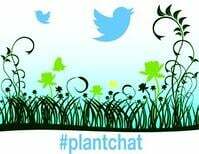 ET, were we come together with green industry experts and fellow horticultural tweeps each week to discuss all things related to plants and horticulture, since 2014. Growing Plants Planting and Maintenance shortcuts and tips make it easy to succeed! 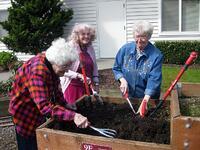 Garden Organization Just like any project, organize garden areas and tools with containers, organizers and know-how. Plant Identification How to recognize Plant Families, starting with flowers and fruit for easiest Plant I.D. Money Saving Tips Gain insights from experienced frugal gardeners and get more bang for your gardening buck with a bit of familarity. And check out the Proven Winners Pinterest boards. 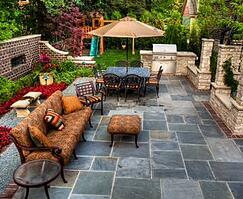 Clean Up Whether the end of the day or the end of the season, clean up is a vital step to an organized garden. Preparing for the holidays? Relax with ComfortGEL® tools from Corona® and create those topiaries, natural wreaths, floral designs and tree trimming the easy way. Season after season, garden and landscape maintenance is a breeze with soft, ergonomic, comfortable ComfortGEL® grips. On this year’s holiday wish list there are six tools from Corona® that keep garden and holiday décor projects down to size. And just in time for the holidays, Corona is offering some special discounts on ComfortGEL®, helping gardeners save time and money. Gifting your gardener with ComfortGEL® Tools from Corona® takes the “chore” out of home gardening and holiday preparations. Specially coated, non-stick blades help to maintain maximum sharpness through numerous cuts. ComfortGEL® soft, ergonomically-shaped grips provide maximum comfort, fit and control, while the integrated Shock-Guard® bumpers on selected models, reduce strain and hand fatigue. and the volute spring resists dirt build up and clogging. ComfortGEL® tools with longer handles are equipped with extra strength, ergonomically advantageous trapezoidal steel handles that fit snugly in the hand. Easy open locks accommodate both right and left-handed users. 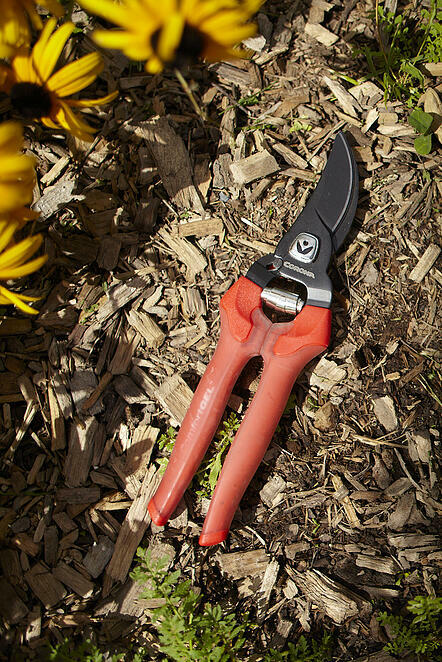 The indispensable ComfortGEL® Bypass Pruner (BP 3214, $16) are perfect for keeping woody ornamentals in line and are useful a thousand times every gardening day. Trim evergreens for making holiday wreaths, swags and bunting. Clip stray branches out of the way of windows, doors or walkways. Prune dormant ornamentals and eliminate crossing and rubbing branches with ease. To ensure your hand pruners always within reach, add Corona’s universally designed nylon scabbard (AC 4510, $10) that makes the ComfortGEL® Bypass Pruners easy to carry using the metal clip or belt loops. 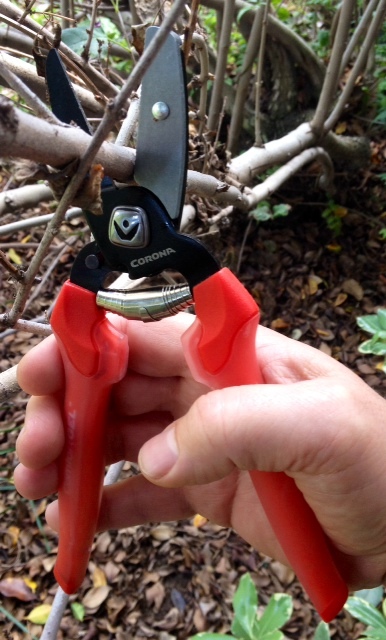 It’s made of durable Cordura nylon construction and is the perfect fit for hand pruners and folding pruning saws. On the scabbard front is a storage pocket for the accessory sharpening tool (AC 8300, $10) to keep pruner blades sharp in the field. Together, this $36 bypass pruner, scabbard and sharpener set make a memorable stocking stuffer. The ComfortGEL® Hedge Shear (HS 3244, $29) is ideal for smoothly sculpting rosemary or ivy topiary cones and spirals, or hedges in the landscape and traditional holiday decor. The 9 inch non-stick blades maintain maximum sharpness, and cutting performance is enhanced with a 3/8 inch limb notch. 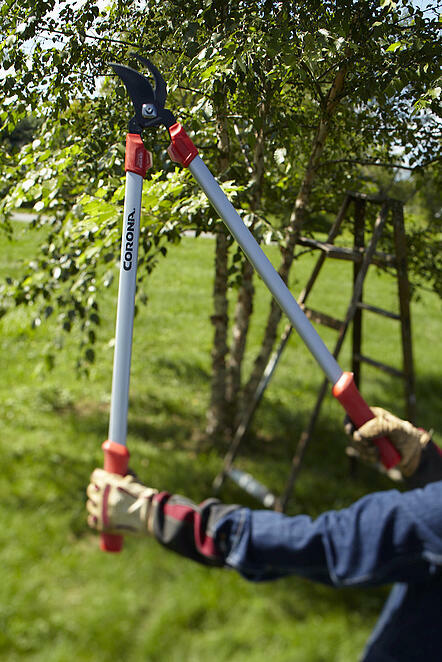 The long-reach 25 inch ComfortGEL® Bypass Loppers (SL 3264, $28) make short work of larger branches. The Dual Arc blade design provides a 1-1/2 inch diameter capacity that easily eliminates rangy Christmas tree branches or protruding limbs. These loppers will also come in handy during winter months to remove damaged tree limbs caused by excess snow, ice and heavy winds. On every floral designer and herb gardener’s wish list, the ComfortGEL® Snips (FS 3204, $16) are simply the best choice for herbs and floral design. Lightweight construction combined with the integrated thorn stripper and floral wire cutter make a great all-in-one tool for the artistic gardener. Sticky tree sap easily wipes off the non-stick, specially coated blades for maximum cutting performance. Then use them to cut some fresh herbs for your holidays meals making this one of the handiest tools in your shed all year long. Corona’s ComfortGEL® Snips are member tested and recommended by the National Home Gardening Club, an independent third-party group. ComfortGEL™ Anvil Pruner (AP 3234, $17) has a 3/4 inch diameter branch capacity, and like all of the hand tools in this series accommodates right- and left-handed users, and designed for pruning dry and woody growth. The sharp blade comes down on the anvil and readily cuts extra hard wood of dead branches or rose canes. 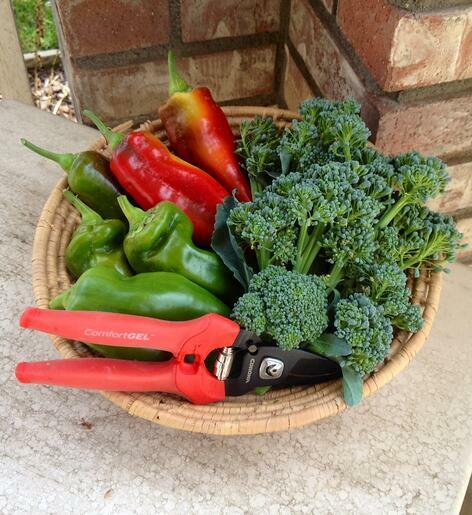 Finally, the ComfortGEL® Veggie & Fruit Shear (BP 3224, $16) is great for harvesting cabbage, Brussels sprouts, lettuces as well as quickly harvesting fruits off trees, bushes and vines. A quick wipe of the specially coated, non-stick blades with a rubbing alcohol wipe also helps prevent spreading diseases to other plants during harvest. What does YOUR gardener dream of? The holiday season is now, and ComfortGEL® tools from Corona are all about comfort and decreasing wear-and-tear on the gardener. Order these very special comfort-minded tools at CoronaToolsUSA for yourself, or delight your special gardener this holiday season with ComfortGEL® gifts that physically demonstrate your thoughtful caring in a tangible way. Right now, through the holidays, all ComfortGEL pruning tools are 20% off when ordering on coronatoolsusa.com and using COMFORTJOY code before check out. And for ComfortGEL orders $75 or more, receive free ground shipping using code CGFREESHIP. Free shipping applies only to ComfortGEL tools. Orders on items other than ComfortGEL will be subject to standard shipping rates. Which ComfortGEL is right for you? 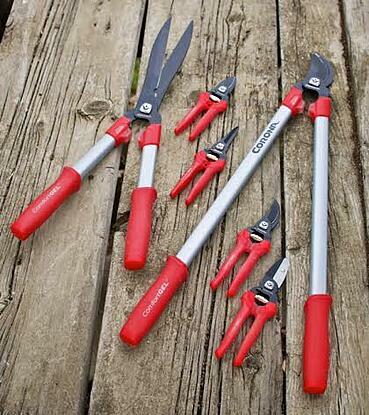 With six great tools designed for specialized garden and craft tasks, Corona has the right tool for the job. Check out the ComfortGEL video to see them in action and tell us in the comments which one is your favorite! Spring may have begun in March but as part of the country has started to see temperatures pushing triple digits, in other areas there’s still snow on the ground. Regardless of strange weather patterns, Mother’s Day is one Spring event that comes to moms across the country. A day to honor all the moms out there (not that we shouldn't everyday!) for the hard work they do throughout the year. 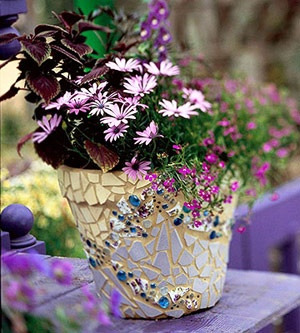 To honor all the garden moms on Mother’s Day (and everyday…!) we wanted to put together a list of her top 5 favorite tools as shared with us by our many Facebook friends and Twitter followers of Corona Tools. With over 600 tools in our catalog, we’re bound to have missed a few fan favorites… based on what we hear from gardeners like you, we know this list will help ensure Mom has a great day in her garden on Mother’s day, and every day, season after season. 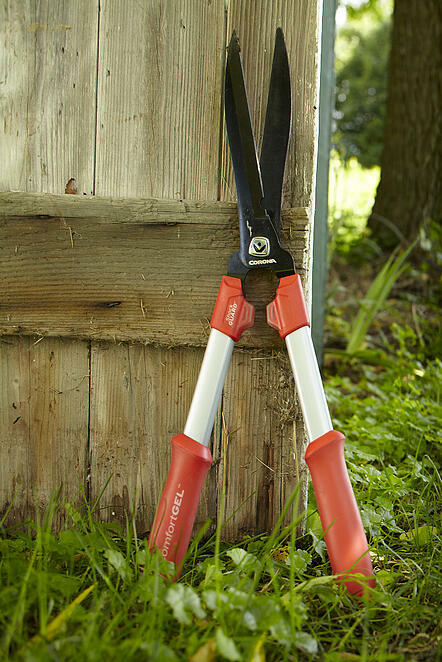 Dual Cut™ Pruning Series – Mom’s love the Dual Cut’s patented blade and hook design and the 20% extra cutting power that makes the cuts with less effort when trimming shrubs, trees, roses and thicker, woodier stems. They are forged steel and built to last. Razor Tooth Saw – Mom’s tell us this saw helps to empower them to tackle the larger pruning jobs in the garden. 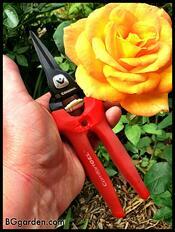 Thicker limbs and roses that are 1-3” can take quite a bit of upper body strength to make a cut with a lopper. And rather than calling for help, the Razor Tooth makes quick work out of the task with its special saw tooth-pattern design to make faster cuts with less effort. ComfortGEL® Pruning Series – Mom’s can’t seem to get enough of these pruning tools that are not only comfortable in their hands, these tools limit the amount of shock to the hands or upper body. That means she can do the activities she enjoys with all the gain and without the pain to hands, wrists, arms and shoulders. 2-Handed Pruner – Somewhere right in between smaller green steams and tougher, woodier limbs hand pruners can be too big and loppers are back in the tool shed. 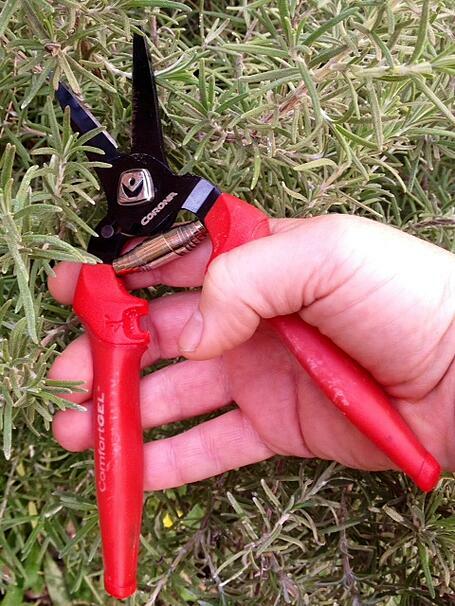 One tool offers them the best of both worlds, the 2 – Handed Pruner. A pruning blade that makes cuts up to ¾’ in diameter combined with lopper-like handles for added leverage on larger cuts. eGrip Garden Hand Tools – Mom’s like the ergonomic shape of these garden tools that help with planting, weeding, digging and cultivating soil. With handy features like built in bag rippers and depth markers, these are some of the handiest hand tools in the garden. There you have it, a short list among the many of garden tool favorites for many of our favorite garden moms. And while we couldn't mention all of them, we couldn’t leave it off the Extendable Handle garden tools as we hear from many who love them. They are perfect for using in raised beds and other smaller planter areas due to their solid designed handles that extend from 18” to 32” and perfect moms of all ages. Did your favorite tool make the list? Share with us in the comments below or connect with us on Facebook and Twitter! Geri Laufer and Dual Cut Lopper from "How I Roll"
It may be the first part of January but did you know that it's the perfect time to start planning and preparing for winter tree pruning? On this week's #treechat, we're discussing the basics of what you need to know before you get out there and start trimming trees. The live chat begins at 1/8/13 at 11AM via Twitter with Corona as this week's host. Join @Coronatools and other industry experts each week at 11AM PST via Twitter for #treechat. Discussing all things related to trees and tree care since 2010! 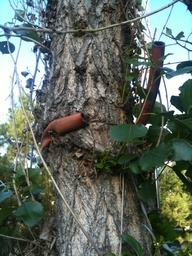 Tree Pruning Resources - we'll share some links where you can get information and how-tos for tree pruning. Missed the live session? 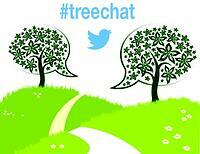 You can access the #treechat Storify 24/7 with all the information we discussed. If you have a question about what was covered or something else related this topic, just post your comment and we'll get an answer for you.